This team has been together since 2013. 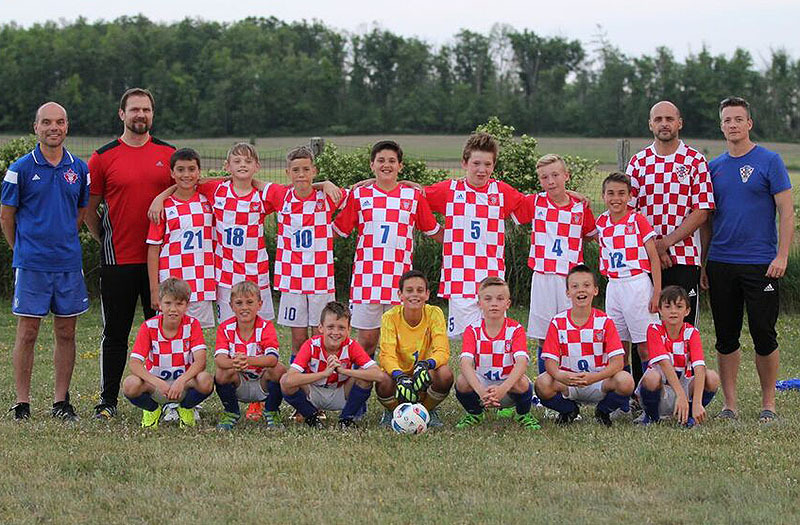 In their first year together they participated in the Hamilton Croatia House League and sanctioned festivals. This is now their third season playing in the HDMJCL. Joseph Haulage Canada Corp.  The largest transporter of bulk materials in the Southern Ontario Golden Horseshoe and Greater Toronto corridor. Our fleet of 200 units – consisting of dump trailers, tri-axles, pony pups, live-bottoms, walking-floors, flatbeds and tankers – is ready to serve you 24 hours a day, every day. i-Virtualize  An IT solutions and services company, helping our customers plan, build, optimize and support mission-critical IT infrastructures, Offering premium managed services as well as a full suite of on premise and cloud solutions with options for Infrastructure-as-a–Service, VDI as a Service, and Cloud DR.
Black Cat Coffee Services, Inc.  Retail store located at the corner of Fletcher and Rymal Road in the Summit Park area open to the public offering over 550 single-serve products including Keurig K-Cups, Tassimo T Discs, Dolce-Gusto and Nespresso compatible products.